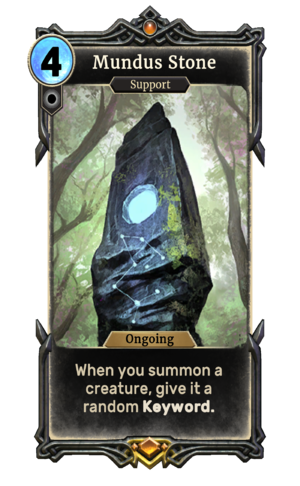 Mundus Stone is a unique legendary Neutral support card. It is part of the Core Set. This card's ability applies the Blessing of the Stars card effect. Mundus Stones are a type of Runestone that bestow the blessings of the stars.